Clare Logie interviews Deputy Chief Constable Rose Fitzpatrick, of Police Scotland. 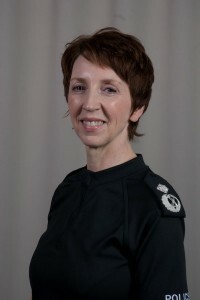 With the crucial role that the safety, security and wellbeing of the nation has to play across all these areas, and in the context of police reform and the launch of the single national law enforcement service, Police Scotland, on the 1st April this year, we thought this was the ideal opportunity to speak with Scotland’s most senior female police officer. On joining the service, Rose spent 11 years in England’s smallest force, the City of London Police, before switching across to the Met(ropolitan Police), the UK’s largest. Her 14 years in the Met saw her cover roles in territorial and local policing before retiring, after this 25 years of service, as a Deputy Assistant Commissioner. Her retirement lasted four weeks. CL Was it purely the local policing role you wanted, or would you have wanted any of the DCC roles? CL Why should people feel positive about the creation of a single police force across the whole of Scotland? CL Would you encourage more women to join the police? CL Do you believe then, that the relatively few numbers of women is a legacy issue that will naturally correct itself over time, or does it need some element of intervention, to improve the balance? CL Many female cops seem to claim in the media that DCI Jane Tennison of ‘Prime Suspect’ fame, was based on them. Do you see any traits or experiences in her that you recognise, or is she a myth? CL (Looking a little crestfallen, whilst knowing it’s wrong) So, no more Gene Hunt? CL What is the most challenging aspect of your role? CL Are you good at delegating? CL Are you a control freak? CL Would you consider yourself a feminist? CL Legacy is a word that if often over-used; what does it mean to you, if anything? CL Anyone, or specifically women? CL What is the most satisfying element of your job? CL So, how long is that beginning going to last? Do you have a timeline in mind? CL It sounds like you didn’t really plan your career in detail? CL So, do you have any aspirations left? For life or work? CL Who has/have been your inspiration(s)? CL What is the trait you most value in other people? CL And the trait you most deplore? CL Is there anything about yourself you wish you could change? CL So, are you a demanding boss? CL And, just about you… what is your favourite song and why? CL And, finally… what never fails to make you smile? Let’s not depress her by answering that just now… she’s got enough on her plate. Our thanks to the DCC for the generosity of her time and her thoughtful responses. Thank you Clare and a big thank you to Deputy Chief Constable Rose Fitzpatrick. What a fantastically open interview. I for one am glad that the Rose believes that Gene Hunt syndrome isn’t (still) rife in the police force. I hope that she is right, though recent revelations indicate that there is still much more to do, and hope she enjoys living and working in Scotland. I’m much more New Tricks than Taggart or Rebus! Wonderful insightful interview Clare, excellent. Thank you Rose for being so open and honest…I’m a New Tricks fans too, however I also love Case Histories!